North West Aggregates's slate is Ideal for use on paths and patios, alpines and rock gardens. 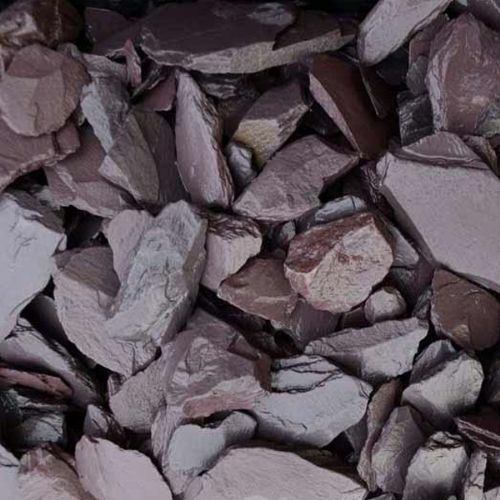 Deters weeds on beds and borders, good for plant pot topping, water features or aquatics Uses: Slate is our most distinctive and widely used landscape chipping. Suitable for paths and driveways where the slate will provide a long term durable surface. Also very satisfactory as a decorative mulch in situations where a more "chunky" appearance is required. As slate is inert it can be used in or near to stocked ponds, and will not alter the pH of soils. Our plum slate is measured at 40mm Coverage Guide: 1 tonne covers approx.